As a taster to the main event (6th to 9th June), The Gate to Southwell Festival is promoting its first concert in the new Locomotion Bar at the Final Whistle in Southwell on Tuesday 12th March. Thunder and Rain is a Colorado-based five-piece who have established a strong footing. 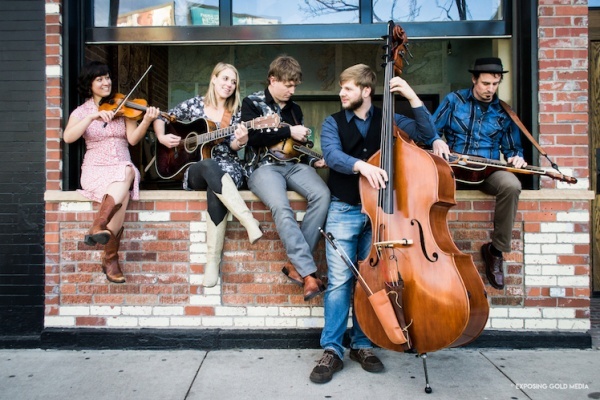 Though their roots are firmly in traditional bluegrass and folk they fuse melodic elements of rock and pop with acoustic instrumentation, to create a distinctive contemporary sound of their own. The release of their superb 2017 “Start Believing” album stimulated the UK media into paying serious attention. Reviews were fittingly flattering and they got a load of radio exposure too. FolkRadioUK compared them with “the early days of 10,000 Maniacs” whilst RnR magazine declared “There’s something special happening here”. The band has toured Ireland before but this is their first visit to the UK mainland. Support comes from 19 year old Nottingham based singer songwriter Louis Croft whose influences include Donovan and Jake Bugg. Tickets £11 (+ booking fee) in advance from www.gtsf.uk/thunderandrain or £13 on the door. Doors 7.00pm. For further information phone 01636 816678 or visit the website.